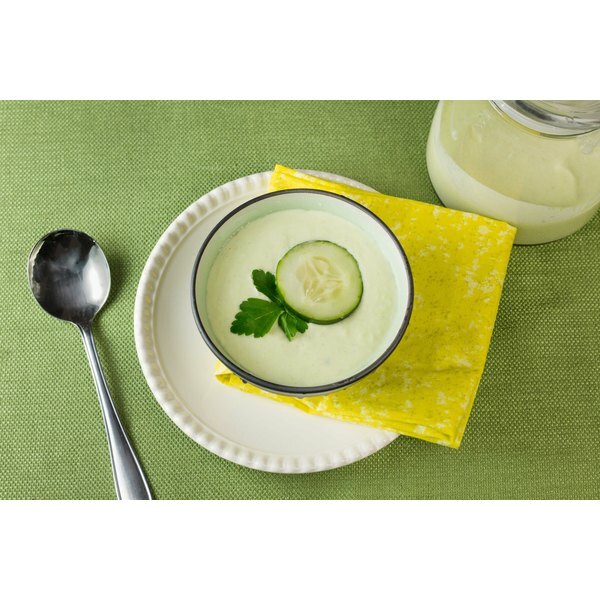 Cold cucumber soup offers a light, refreshing reprieve from a diet full of heavy, rich foods. 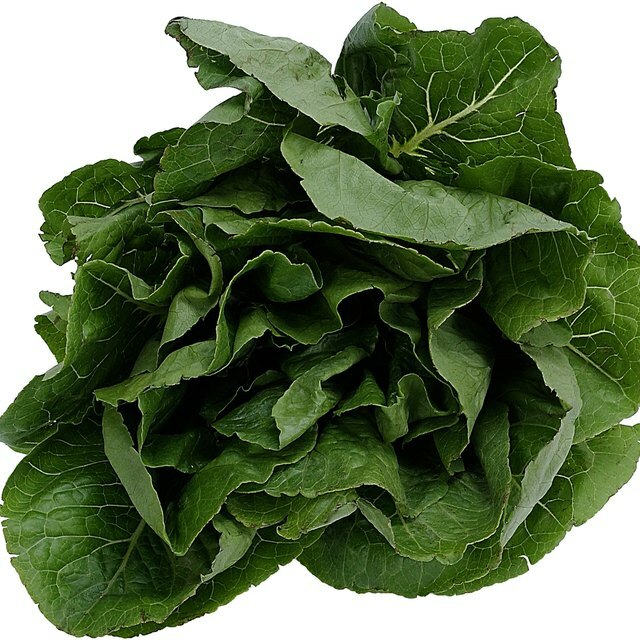 Made from fresh, raw ingredients, you can complete the entire dish in a food processor or blender in minutes without turning on your stove -- although you do need to allow chilling time. Mild, watery cucumbers receive a flavor punch-up from onions and garlic, balanced by cool and creamy yogurt. The dish can be prepared and eaten fresh, but tastes best when chilled so the flavors have ample time to meld. Wash the cucumbers to remove the waxy coating and remove the peel. Cut the cucumbers into thin rounds. Add the cucumber slices to a colander. Sprinkle lightly with salt to add a bit of flavor and draw out the excess moisture. Squeeze the cucumbers after about half an hour to press out additional moisture. This step is optional but keeps the soup from becoming too watery. Add the cucumbers to a food processor, along with garlic, dill, lemon juice, yogurt and onion, green onion or shallot. Choose from Greek yogurt or plain yogurt. For every 3 medium cucumbers, use about 1 garlic clove, 1/4 to 1/3 cup dill, 3 tablespoons of lemon juice, 1 1/2 cups of yogurt, and either 1 green onion, 1 shallot or 1/4 of a medium onion. Adjust the ratios to suit your preference, adding more or less of each ingredient to highlight the flavors you enjoy. Pulse the blender about 10 times to roughly chop the ingredients and mix them evenly. Blend to a smooth, creamy consistency. Add a bit more lemon juice or yogurt if the mixture is thick and difficult to blend. Season the finished soup to taste with herbs and spices, such as salt, pepper, parsley, tarragon, onion powder and garlic powder. Transfer the soup to an airtight container. Chill for at least 6 hours or preferably overnight. Serve in chilled bowls with additional finely diced cucumber, onion and dill as garnish. You can also simmer the vegetable and spice ingredients in broth until soft, then blend with yogurt and optional avocado before chilling.